Sandra is a National Board Certified practicing literacy specialist with over fifteen years of experience teaching at the elementary level. She is also the author of many teacher-practitioner books on literacy and integrated content-area instruction. Close Reading for the Whole Class, her most recent book published by Scholastic earlier this year, is fast becoming the go-to resource for classroom-practical instruction on close and critical reading. Quality Comprehension and Fun-tastic Activities for Differentiating Comprehension Instruction, both published by the International Reading Association, are some of her other well-known works. Sandra is also a children’s book writer and specializes in high-interest, photo-informational books including Tales from the Top of the World which recounts her brother’s seven ascents of Mount Everest, and Secrets of the Sky Caves which documents recent scientific expeditions of Nepal’s mysterious cliff side caves. Both are highly acclaimed in the review media (Kirkus Review, School Library Journal starred review), and have been nominated for special honors including 2015 Outstanding Science Trade and an Honor Book for the 2015 South Asia Book Award for Children’s and Young Adult Literature. Sandra has also been awarded over 15 competitive grants to study elementary instruction and has presented her research at international, regional, and local conferences including the International Literacy Association and the National Council of Teachers of English Conferences, and others. Sandra also was recently awarded the 2014 New York State Outstanding Elementary Social Studies Teacher of the Year Award. Sandra earned a B.A. in English from the University of Michigan, an M.A. in Elementary Education from Manhattanville College, and an M.S. in Literacy (Birth – Grade 6) from Le Moyne College. She is also certified to teach Secondary English. 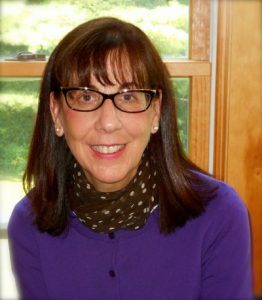 In addition to teaching in the classroom, she is an Adjunct Professor at Le Moyne College and provides instruction in graduate-level literacy classes. Sandra also serves on various ELA and Social Studies Leadership Networks and collaborates with educators nationwide to address the challenges of the Common Core and other standards.